I’ve managed to have concussion 5 times, twice from footy/soccer and 3 times from MMA. Now, this isn’t particularly bad, and was never a concern until I read a few articles and studies. Concussion is a big deal in America at the moment, with several ex NFL players suffering mental illness due to long term effects of multiple concussions. A handful have even killed themselves. When most spectators see a fighter get KO’d; they assume that the fella/women who’s just been beaten, will be fine in an hour or so, maybe a day or two tops. They don’t think that guys like Colin McCarthy will be out of NFL action for 6 months after a concussion; but this is how long symptoms can last. This is one reason why NFL players may soon have to wear knee pads (to stop knee-to-head collisions causing concussions) and there will be neurologists on the sidelines of games. 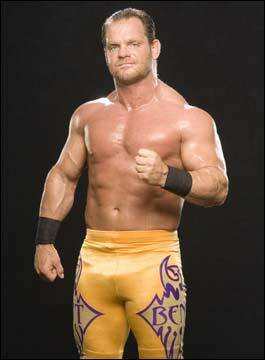 Following an autopsy – on Chris Benoit, the wrestler that killed his family and then himself, it was also found that he was suffering from brain damage, almost certainly caused by repeated concussions. It would have been easy to dismiss his terrible actions as ‘roid rage’ but, following his father’s approval of an autopsy, it was discovered that his brain was severely damaged. You can read more here. In addition old school MMA fighter Gary Goodridge is also suffering from dementia. It will be interesting to see if more MMA and k-1 fighters eventually suffer the same condition, come the end of her career. i.e. symptoms get worse, and worse; each time an individual suffers a concussive injury. This study suggests that 2 or more concussions cause long term damage to particular neural pathways. People who suffer multiple concussions are more likely to suffer from conditions/diseases such as Parkinson’s and Alzheimer’s. Research also suggests that once someone has suffered one concussions, that same individual is much more likely to become/suffer a concussive state again. This may explain why some MMA fighters appear to ‘lose their chin’ later in their careers, and get KO’d more easily. It would appear that after you have had 3 concussions, ideally you should quit all together. That’s me out then. This is a very vague guideline however, since some concussions are far worse than others. Also, keep in mind that in a fight, someone can suffer the equivalent of several concussions; whether that person wins or loses. For example, when someone is ‘dazed’; it’s pretty certain they’ve suffered some level of concussion/brain trauma; they’re brain is in a massively vulnerable state; so those follow up blows that often occur when a ref is trying to establish if a fighter is trying to ‘intelligently defend himself’ are massively damaging. In teenagers and young adults, a follow up blow can lead to something called secondary impact syndrome, which can cause the brain to swell and can result in the death of the athlete. Many people don’t realise they’ve suffered a concussion. My suggestion for MMA fighters and enthusiasts, is to just be sensible. Have at least 3 months off from hard sparring (ideally) if you suffer even a minor concussion. This may not be realistic for a pro, but for us amateur enthusiasts it may give a chance to improve our BJJ and technique. Symptoms can worsen if you do too much/any physical or mental work whilst still symptomatic. I’ve recently started using ginkgo biloba and acetyl-l-carnitine. They act as nootropics, but are also helps in terms of recovery and preventing inflammation. Again, do your research before using. Not sure if this is safe to use long term for everyone (especially L-carnitine). In addition, lions mane mushroom, also holds some promise, as does the super-spice turmeric and pro & pre biotics. Three concussions in Two years. I’m so depressed to have to choose between my live of martial arts and a fruitful healthy life. Emotionally and philosophically it’s a hard choice. Thanks for the article, at least I’m not alone.